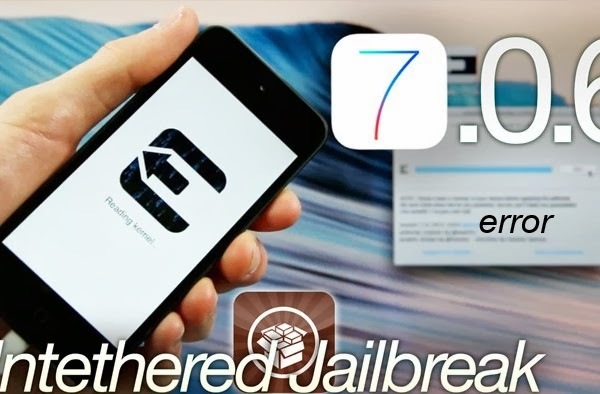 Users who prefer staying on iOS 7.0.6 jailbroken stay away from iOS 7.1 update available this week. No matter how much Apple introduced in this firmware release [new features for iPhone 5S and other smartphone models] a lot of people don’t hurry to install iOS 7.1 on their iPad, iPod touch and iPhone. Hackers ask people to not update to iOS 7.1 and stay on previous firmware versions because they will lose jailbreak in case they were jailbroken. Evasi0n7 doesn’t untether jailbreak iDevices with the newest firmware which patched all the exploits. Still users on iOS 7.0.6 should know about a new bug discovered in the U.S. It is Daylight Savings Time error which surfaced again now. Previously such bugs were experience in 2013, 2012, 2011 and 2010. When you launch Calendar you will see that the marked in the line is 1 hour old though all your settings are correct. Such iOS 7 error as bug iOS 7.0.6 on iPhone 5 / 5S / 5c / 4S are common now. We don’t know whether this error is fixed in the newest operating system but it exists in previous versions, according to reports. This is not a big deal, as a lot of people believe. So staying jailbroken with this bug could be better than having no bug and jailbreak on the iOS 7.1.